In Norse mythology Andvaranaut, also called Andvari’s loom, is a powerful, magical ring capable of producing gold. It was forged by the shape-shifting dwarf Andvari who could turn himself into a fish at will. 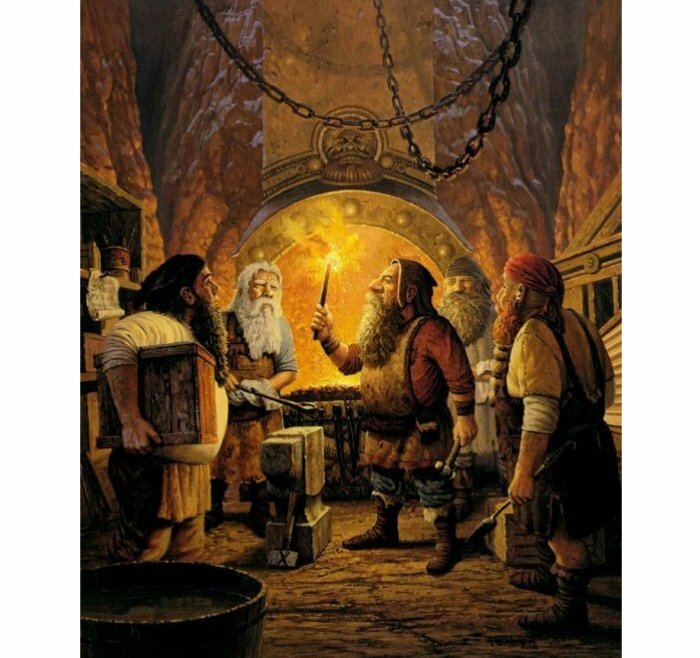 The dwarf was wealthy, due in part to his ring, Andvaranant that allowed him to find additional sources of gold. When the Norse god Loki learned about the ring’s magical powers, he stole it from the dwarf. In revenge, Andvari cursed the ring to bring misfortune and destruction to whoever possessed it. Andvari said “the gold ring would be the death of whoever owned it, and the same applied to all the gold”. This is also exactly what happened. The cursed ring did not bring Loki or anyone who owned it much luck or joy. WERE NORDIC GODS FLESH AND BLOOD EXTRATERRESTRIALS ? On arriving at Hreidmar’s house, the king of the Dwarves Loki gave the ring to the dwarf because the ring had accidently killed killed Hreidmar’s son, Ótr. Ótr’s brother, Fafnir, then murdered Hreidmar and took the ring, turning into a dragon to guard it. Sigurd (Siegfried) later killed Fafnir. In some versions of the story, hero Sigurd later encounters the Valkyrie Brynhild who was punished by Norse God Odin. Sigurd marries her, using the Andvaranaut as a promise ring. The story of Andvaranaut has been used in musical performances, books and movies. For example, Richard Wagner did not use the name “Andvaranaut.”, but he told the story of the ring in his famous operatic cycle “Der Ring des Nibelungen” (The Ring of the Nibelung). The ring Andvaranaut is also credited as one of the inspirations for the One Ring in J. R. R. Tolkien’s The Lord of The Rings. The Mysterious 12,000-Year-Old Dropa Stones, Evidence Of Ancient Alien Contact?